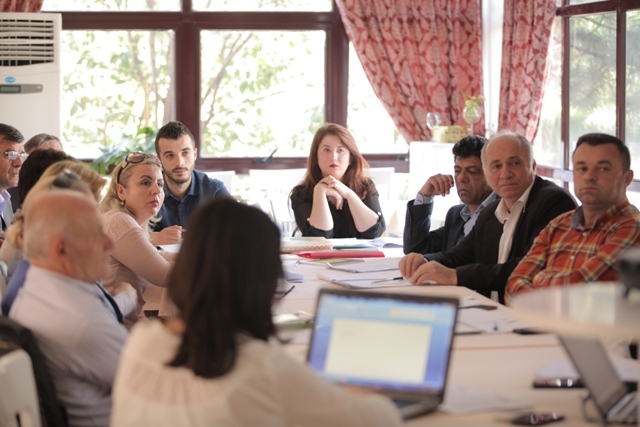 In April, the Balkan Investigative Reporting Network in Albania held ten regional roundtable discussions across the country at which the priorities for local candidates for the June 21st local elections in 61 municipalities were discussed. The roundtables were held in the cities of Kukes, Shkodra, Burrel, Elbasan, Berat, Fier, Vlora, Gjirokastra, Korca and Tirana, where more than 150 representatives of civil society organisations, minorities and grassroots groups shared their opinions about a list of questions to be posed to local mayoral candidates ahead of the polls. The questions were generated by in-depth interviews with more 250 community leaders that BIRN Albania conducted in the above mentioned municipalities over the last two months, in order to identify citizens’ concerns about the problems and challenges their area faces. A shortlisted number of questions will be used to conduct interviews with mayoral candidates ahead of the polls. The interviews will be published on a special page of BIRN Albania’s online publication zgjedhje2015.reporter.al. The roundtables are part of the project on ‘Accountability in Local Governance through Citizen Participation and Civic Journalism’, supported by the US Embassy in Albania Democracy Small Grants Program. This project aims to bridge the gap between local voters and mayoral candidates ahead of the 2015 local elections, by strengthening the capacities of CSOs, grassroots organisations, activists and the media in order to identify and stimulate public debate on the key issues facing local communities.